The Eye Rackets V-Lite 125 Control from Mazen Hesham will surprise you with its weight of only 125g, its power and its resistance. 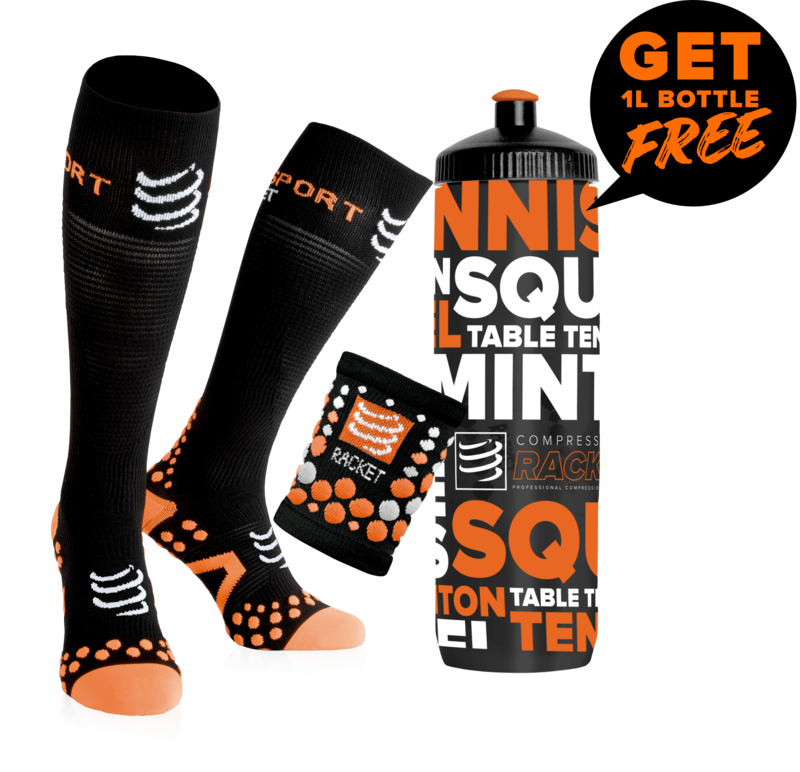 You have an excellent level and you are looking for a squash racket that is adapted to your level and your needs? 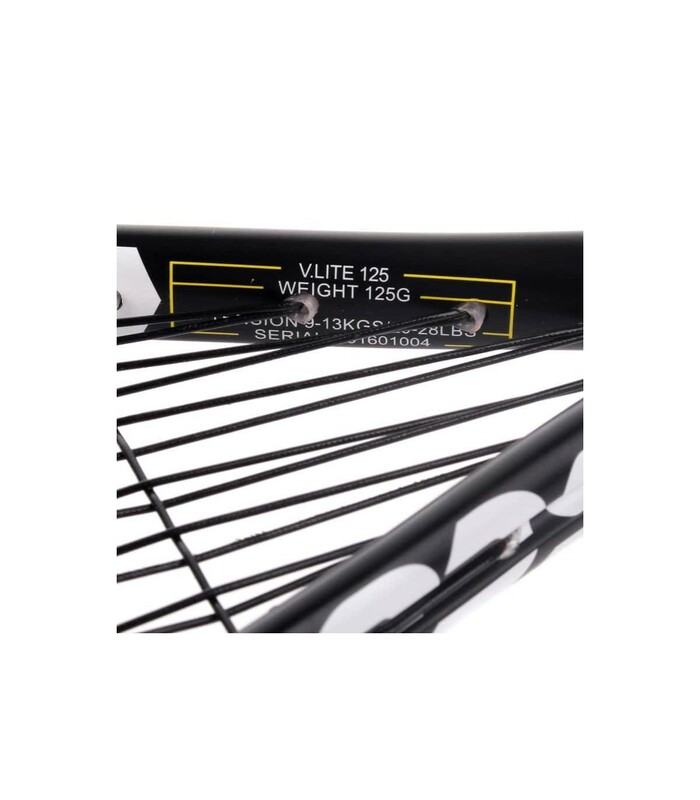 The Eye Rackets V-Lite 125 Control M. Hesham squash racket will perfectly meet your expectations with its 477cm² headsize that pushes you to more precision while tolerating strike errors. Its length of 68.5cm is like an extension of yourself and allows you to get as many balls as possible while bringing more power to your strikes. The power is even stronger with its open string pattern (14x18). 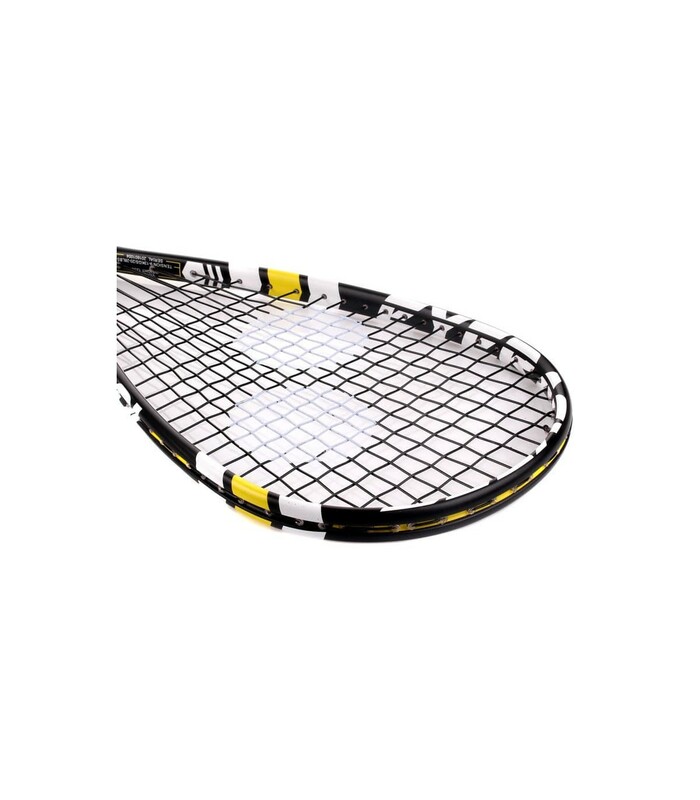 Head heavy balanced, the Eye Rackets V-Lite 125 Control M. Hesham squash racket is very powerful and give dynamism to your game. 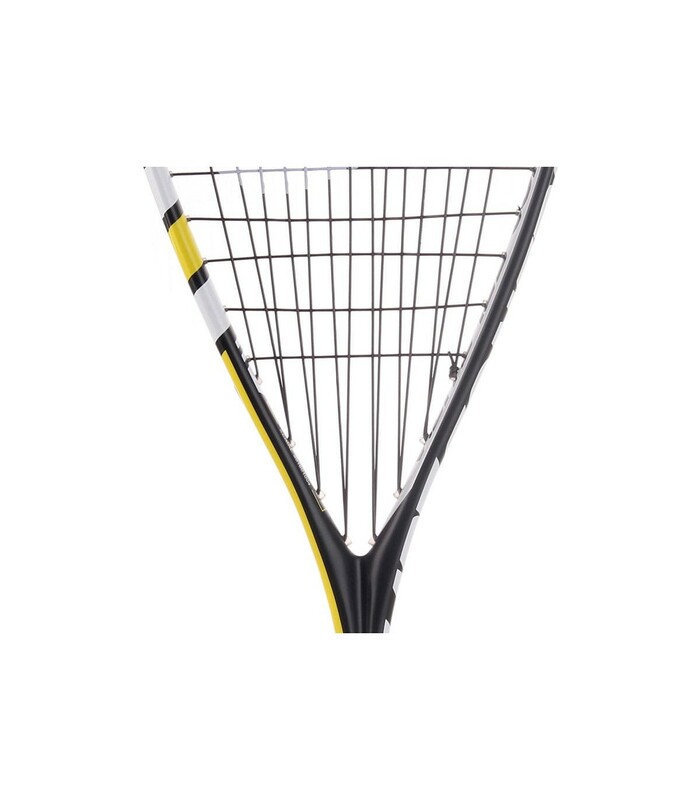 With this squash racket, your squash sessions are more intense and more nervous. 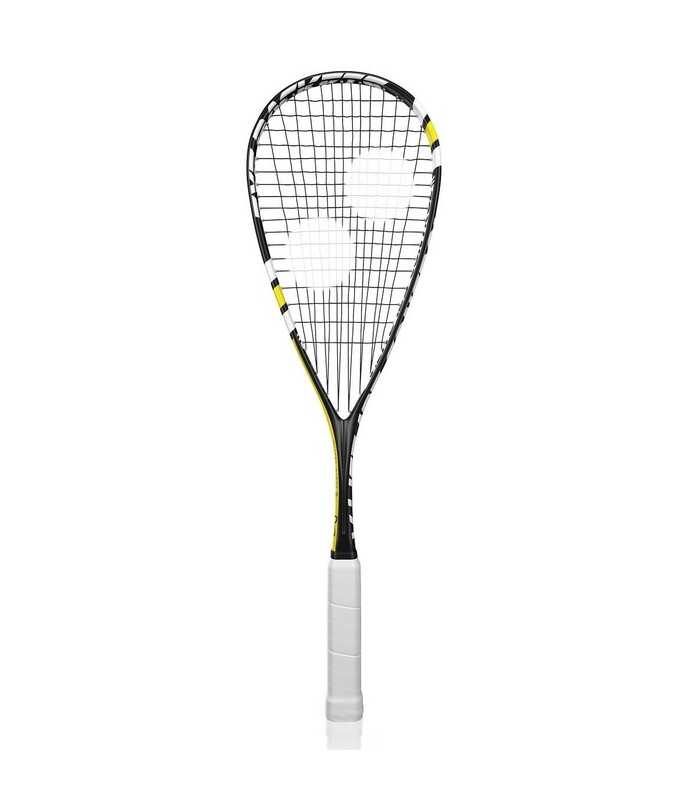 With only 125g, this featherweight squash racket is very handy. Its black and yellow frame gives elegance to your sporty look. 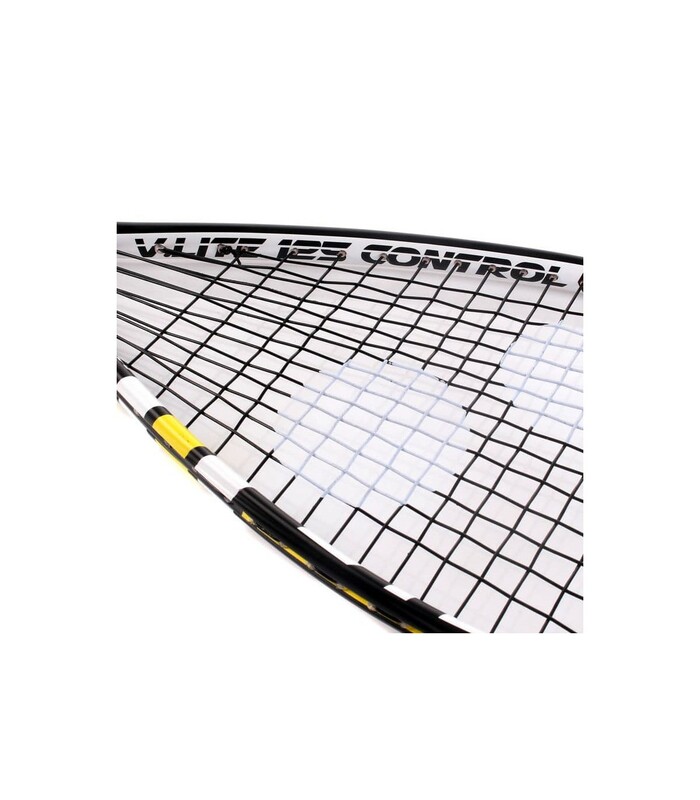 Play with style and dynamism with the Eye Rackets V-Lite 125 Control M. Hesham squash racket!